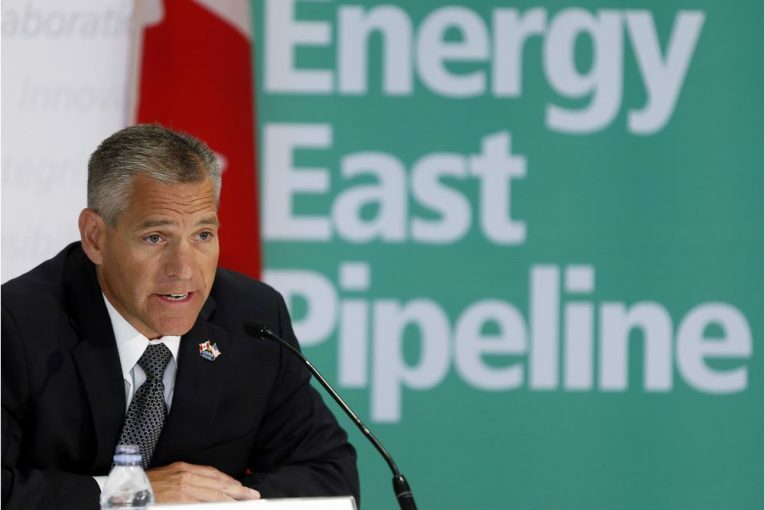 TransCanada is cancelling plans for its Energy East pipeline and Eastern Mainline projects. The company suspended its application on Sep. 7 for 30 days on the $15.7-billion route that would carry Alberta oilsands product from Hardisty to Saint John. The move came after the National Energy Board said its review would now consider indirect greenhouse gas emissions. TransCanada warned then that the project could ultimately be cancelled. TransCanada President and Chief Executive Officer Russ Girling delivered the company’s verdict on the project in a statement released Thursday morning. “After careful review of changed circumstances, we will be informing the National Energy Board that we will no longer be proceeding with our Energy East and Eastern Mainline applications,” Girling said, adding the company is also withdrawing the project from Quebec’s environmental review process. New Brunswick Premier Brian Gallant expressed disappointment in the cancellation and said he blames the company’s decision on world market conditions and the negative impact of lower oil prices. “We believed if TransCanada continued with the process, the project would be approved. We still believe that,” Gallant said. Energy producers in Alberta had hoped the TransCanada projects would help them diversify their markets, with most of the existing pipeline network linking the energy-rich province to the U.S. Midwest and Gulf Coast. Energy East would have carried about 1.1 million barrels of oil a day from Alberta and Saskatchewan to eastern Canadian refineries and a marine terminal in New Brunswick, on Canada’s Atlantic Coast. The Eastern Mainline project would add new gas pipeline and compression facilities to an existing system in Southern Ontario, where most of the country’s home and industrial gas consumers are located.